Happy New Year! I have missed you and am excited to bring you AphroChic’s first post of 2010. It’s a new year, a new decade, and a great time to begin thinking about how you can make changes and update your interior. The work of UK stylist Lucyina Moodie is wonderful inspiration for the new year. Lucyina’s work is clean and classic with surprising pops of color and texture that make her interiors warm and modern. 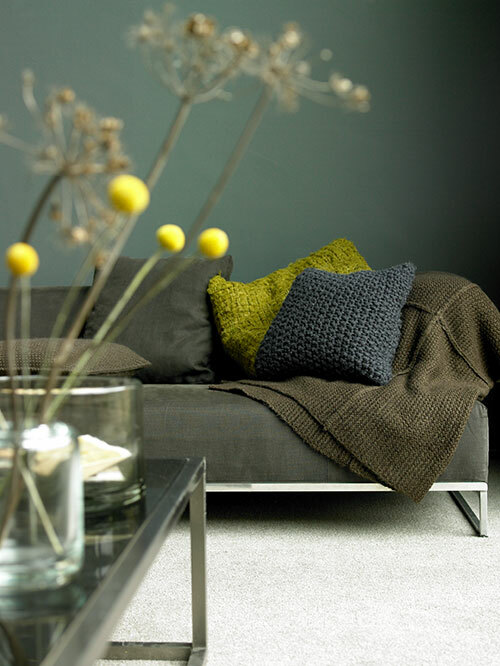 Using today’s new neutrals like grey and blue can be the perfect starting point to totally transform your space. 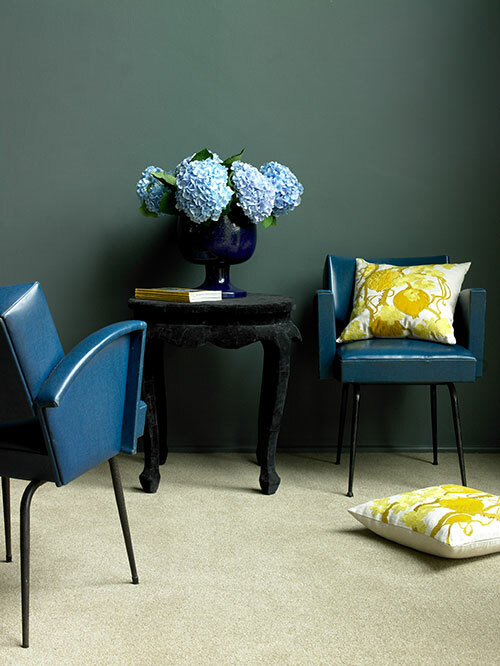 Splashes of some of today’s hottest colors trends – yellow and grey, turquoise and lilac, and mustard yellow and navy blue – can be carried into your own interior. The final touch is to layer on striking accessories. Accent pillows, flowers, and textured throws are an easy way to update your interior without breaking the bank. I am so excited to bring some new ideas home this year. What’s your plan for transforming your home in 2010? OOH! I TOTALLY LOVE gray and yellow. 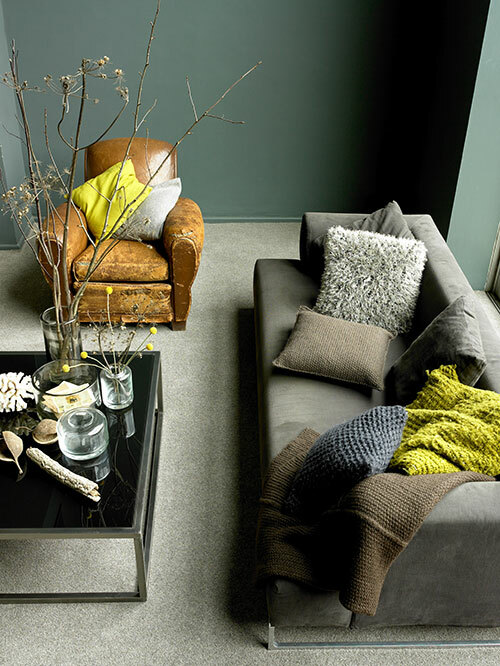 I'm adoring that gray sofa and pillows. So chic yet comfy and inviting looking. And oh! I have that IKEA lamp in that buffet photo. First, welcome back and happy 2010! Much love and many blessings to you. Second, while purple is my favorite color, I am in love with the yellow/grey color combo. As for my transformation goal for 2010, I am on the hunt for a new sofa. The right one will find me. Goodness—just too beautiful for words. I love the gray and yellow, and I adore that blue… veeery pretty! I love the color palette of gray, blue, white and yellow. Happy New Year! I love her design aesthetic. That blue dining area is especially beautiful. I'm very neutral based, so texture and “pops of color” always resonate w/me.